Thanks so much for having me on your blog today, Emma. This is the last actual blog stop on my tour. Tomorrow will be a blog take over at Harmony Ink and Friday wraps up the tour as a Facebook takeover at Harmony Ink's FB page. Thanks to everyone who has followed the tour so far. Feel free to drop by the takeovers. I tried something new with this book and had a book trailer made by Lex Valentine at Winterheart Designs. I love it. Go check it out if you get a chance https://www.youtube.com/watch?v=4Ctr82RV_j0 and let me know what you think of it. Ray of Sunlight comes out today. I’m so excited. This is probably one of my favorite books so far of the ones I’ve written. Living Again will always be toward the top of the list, and Through the Years was fun because it spanned five decades. Haunted will always have a special place in my heart because it was my first. But something about CJ and Russ just grabbed my heartstrings and won’t let go. I do have a couple more books coming up. For Mac will be out in May. 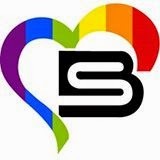 It’s about Branson, who was raised by his homophobic brother, Mac. He has tried his whole life to deny that part of himself. When he meets Liam, he fights his own nature tooth and nail until love wins out and Liam helps him have the courage to be comfortable enough to live life for himself and not for Mac. What No One Else Can Hear is coming in July. Jesse McKinnon is called (mentally) by a young empath who has been misdiagnosed with Autism and is living in a residential facility. Jesse travels across the country in search of Jimmy, but helping him proves to be more complicated than just showing up. Fate and a disgruntled ex-employee at the residential facility where Jesse now works combine to keep them apart and both would have been much worse off if it wasn’t for Drew Ferguson, another employee at the center and best friend (and eventually more) to Jesse. Thank you for your blog tour it has been inspiring and thought provoking. I have followed but left commenting to the last days of the tour as I enjoy the impact of reading all the data at once. 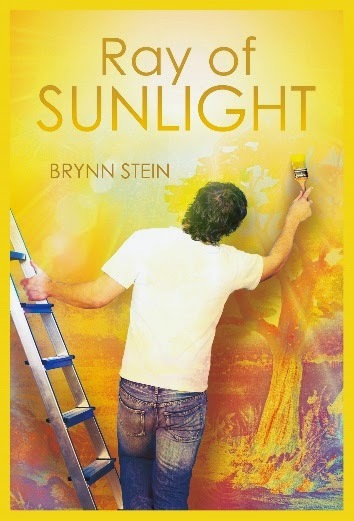 I wish you well with you upcoming publications, which I cannot wait to read, and congratulations on Ray of Sunlight it is a beautiful story and a book that I wish was available when I was considered a YA :) Thank you. I must have fund the one stop that did not have the rest of the tour stops posted! Oh well, I have enjoyed reading all your posts!